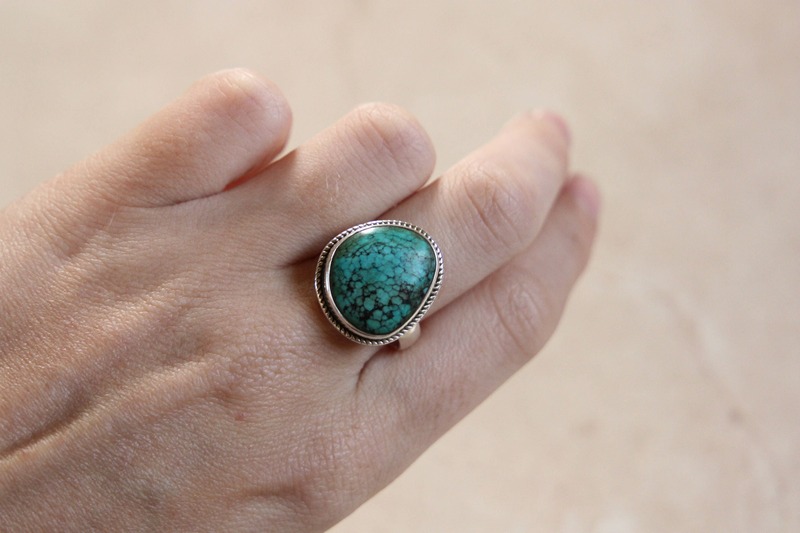 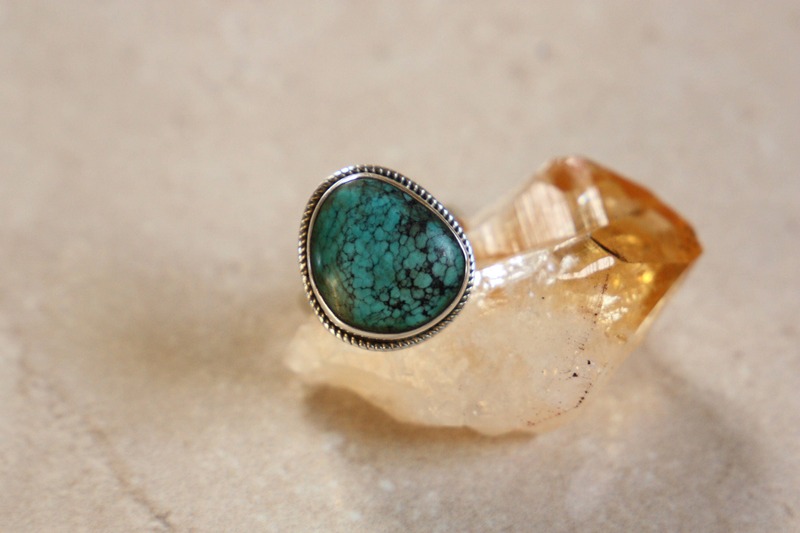 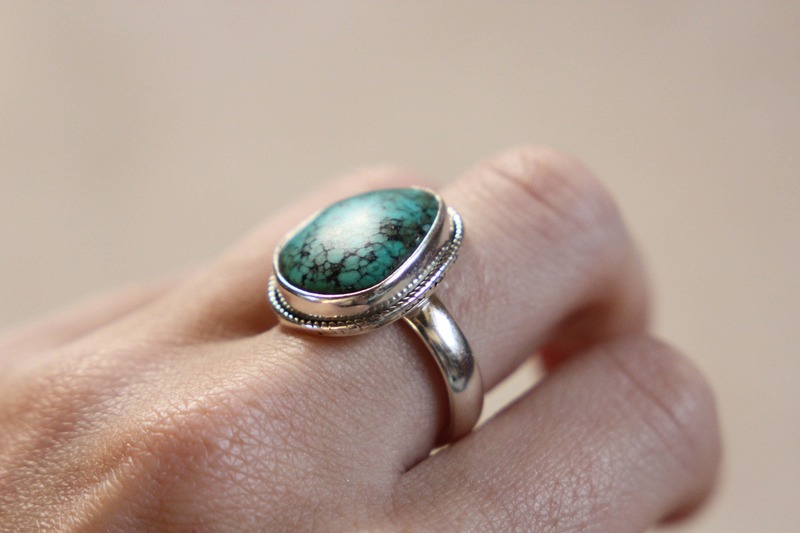 This beautiful obscure shaped turquoise ring is simply perfect, it has beautiful speckles within the stone giving it an organic and navajo feeling. 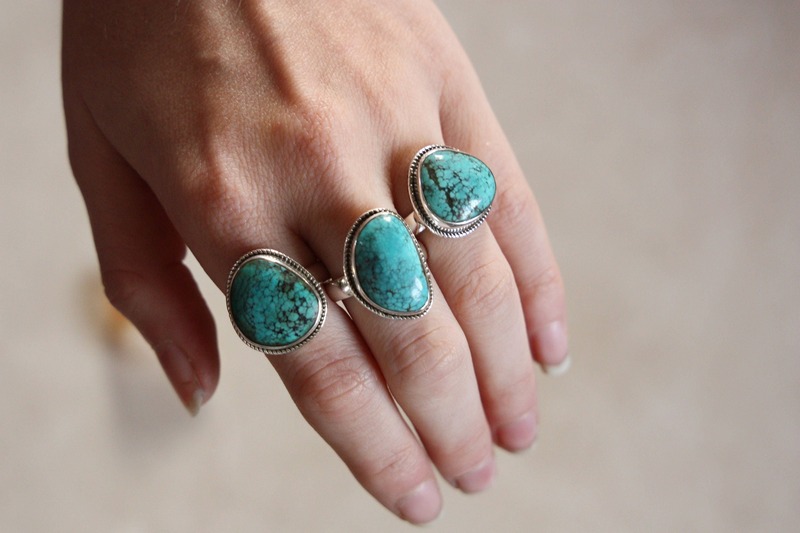 Our signature crystal rings with oxidised wire twist detail and vibrant cabochon crystals are stunning! 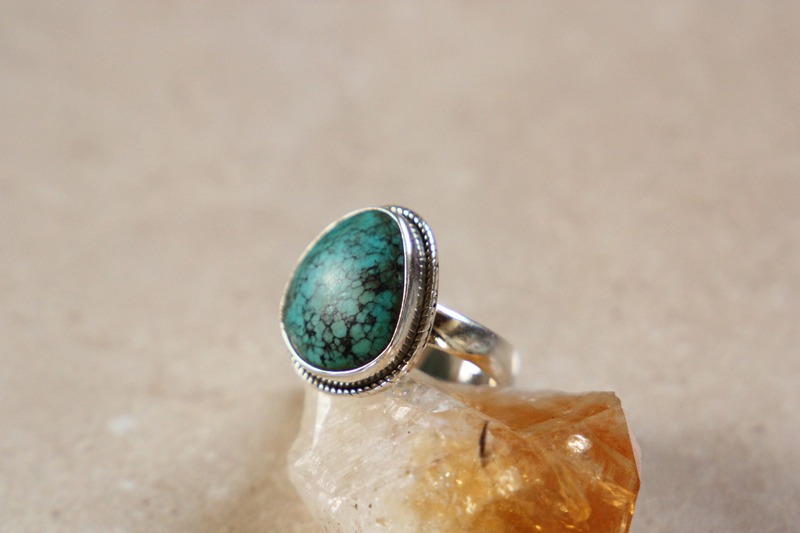 We hand choose all of our crystals and stones and only the finest and most beautiful get turned into rings. 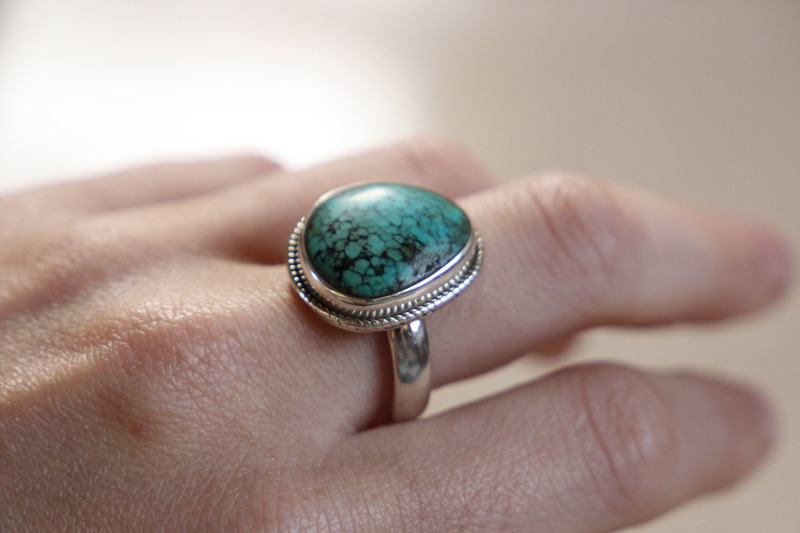 All components are handmade using sterling silver and with a sturdy 925 Sterling Silver band, these are incredibly comfortable to wear! 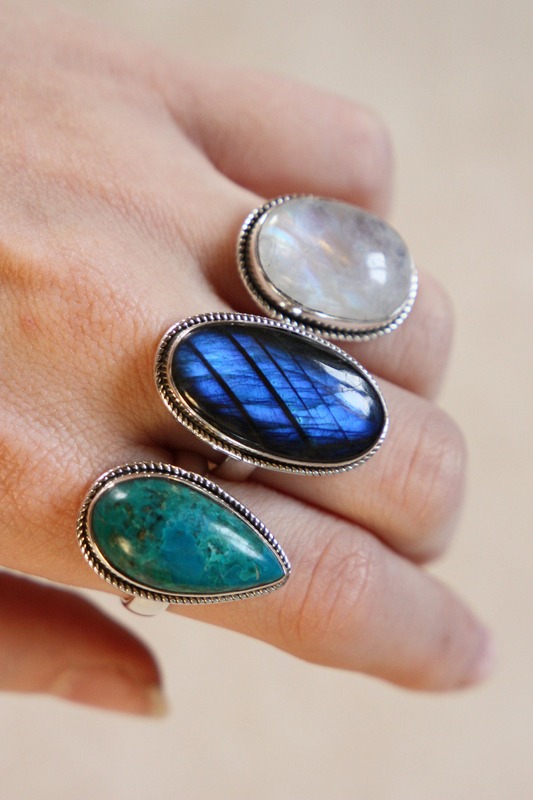 So much time and energy goes into handcrafting these rings, and due to the selection process of the stones, we never have an identical piece! 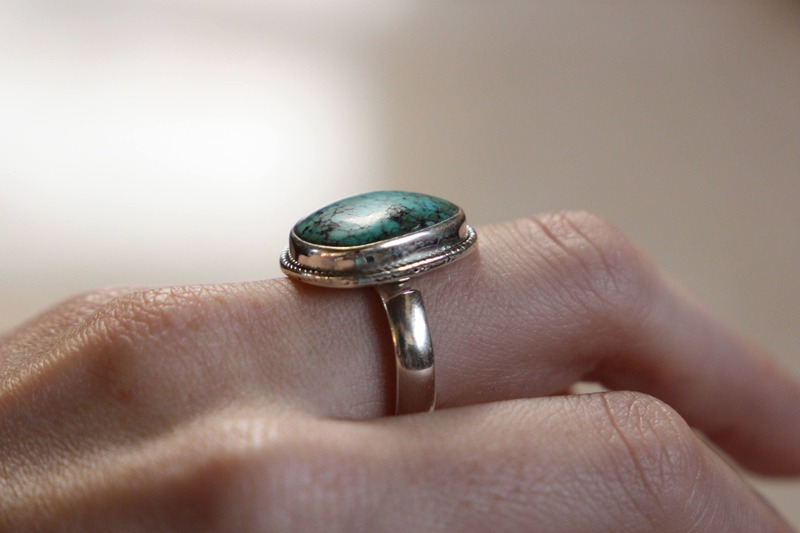 We pride ourselves on creating bespoke pieces that no one else will own, making each piece is as unique as you are!